My garlic crop is coming along nicely this year. About 6 to 8 weeks before harvest, scapes form on the center stem. 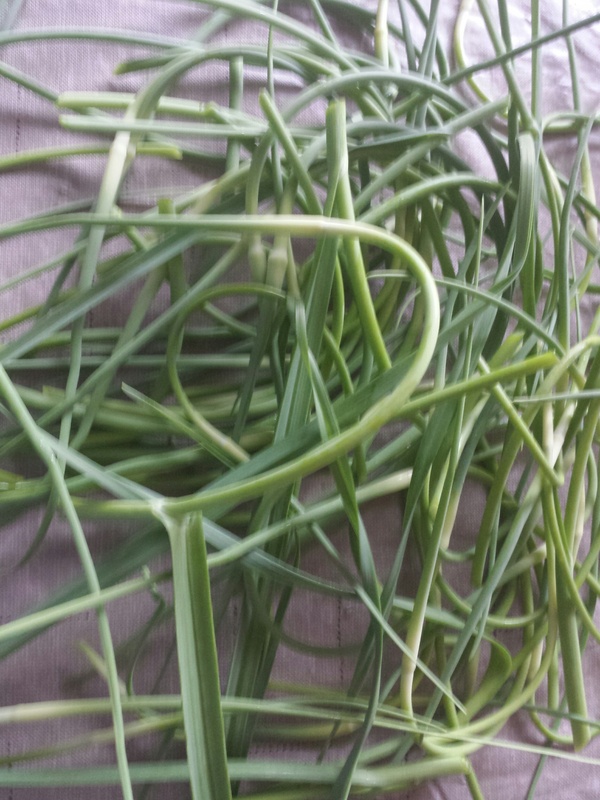 When they start curling, it’s time to cut off the scapes because otherwise the growth and energy goes to the leaves instead of the root, resulting in a smaller garlic bulb. The scapes may be eaten raw or sauteed, or pureed with other herbs into a pesto. They have a very sharp, intense garlic flavor and are delicious. 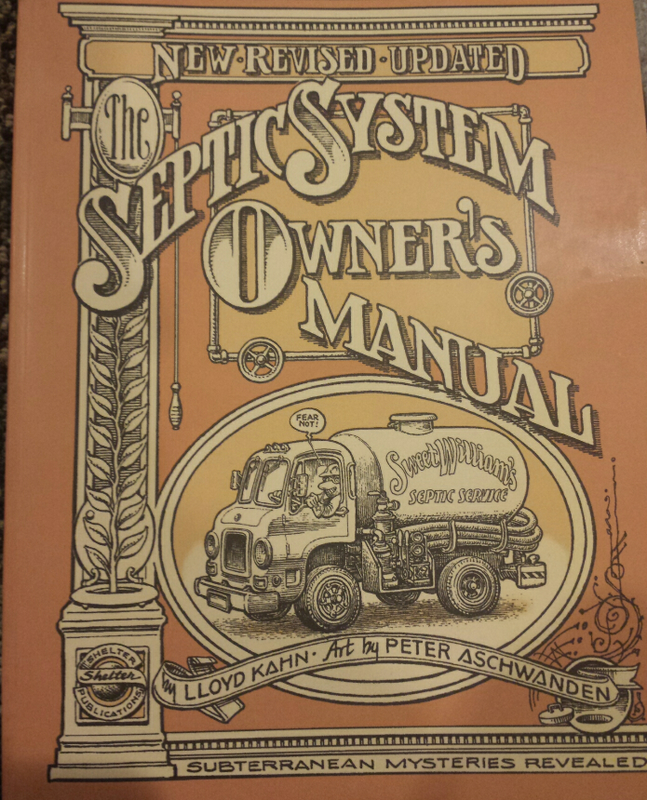 Fascinating reading has taken on a whole new meaning since living in rural Maine: books like “The Septic System Owner’s Manual: Subterranean Mysteries Revealed” by Lloyd Kahn line my shelves. Most people living in urban areas rely on city sewer systems to handle their plumbing waste. But when you live in a rural area, you have a septic tank. There are some precautions one must take if you have a septic tank: you can’t flush Kleenex or sanitary products down the toilet because it doesn’t degrade well. You can only use toilet paper that is marked “safe for septic systems” on the package. You can’t dump cooking oils down a drain (but you should not do this anyway if you want to avoid clogged pipes). Because food waste can rapidly fill the tank, garbage disposals are not recommended in houses that rely on septic systems (surprisingly, I find I do not miss having a garbage disposal. Vegetable/fruit peels, eggshells and coffee grounds go into our composter). 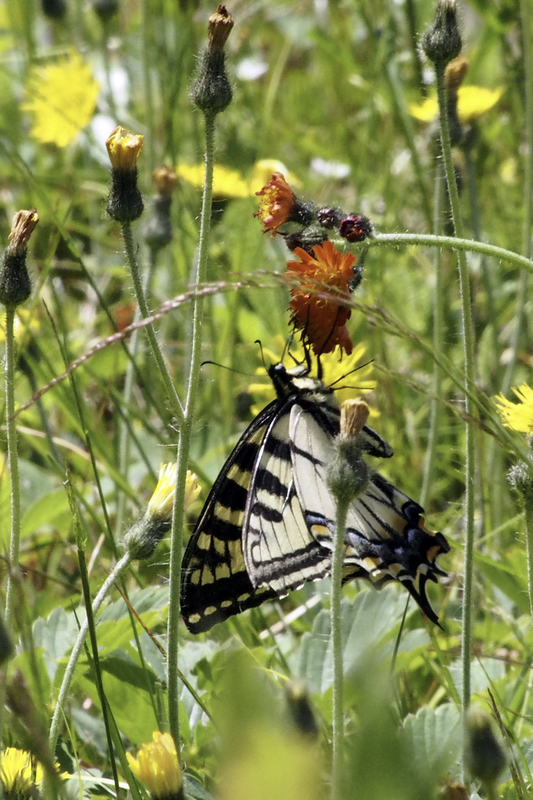 Certain chemicals, such as pesticides or bleach, can also cause problems, because they upset the balance of anaerobic bacteria that allows the septic waste to decompose. Our septic tank was installed six years ago. 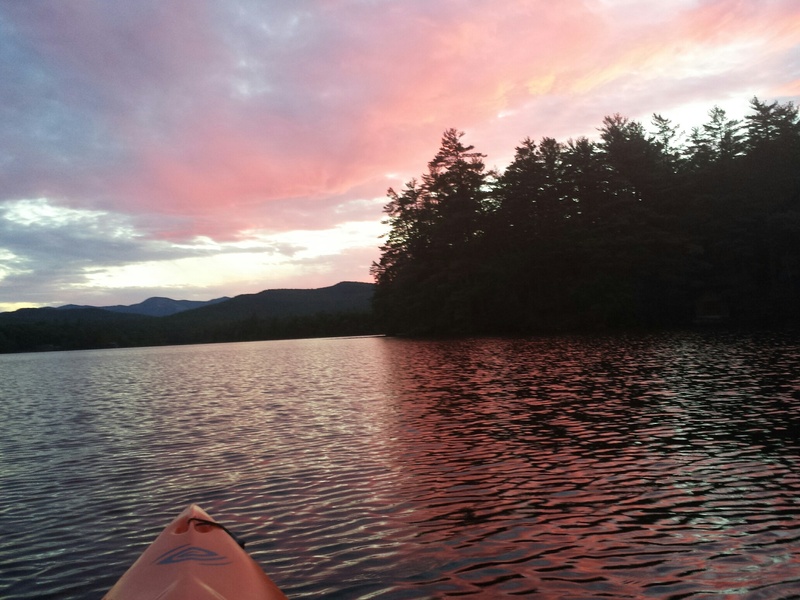 We had never had it cleaned out, and while we haven’t had problems (I was about to write “issues” but realized that would be a poor choice of words), we also didn’t want to wait until it overflowed. While I’m all for trying to do things myself, certain jobs are best left to professionals, as one unlucky man in Massachusetts found out just yesterday. 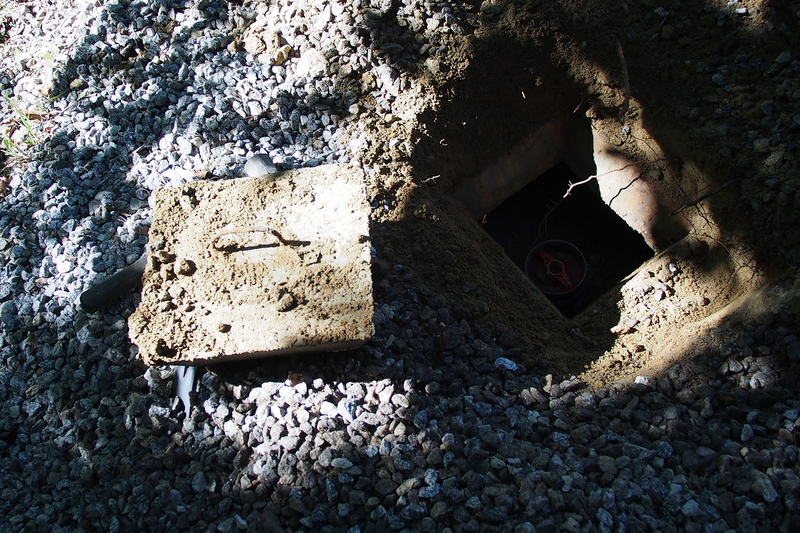 Plympton firefighters were called to a home on Forest Street Tuesday afternoon after the man fell into his septic tank. He was up to his waist in waste. 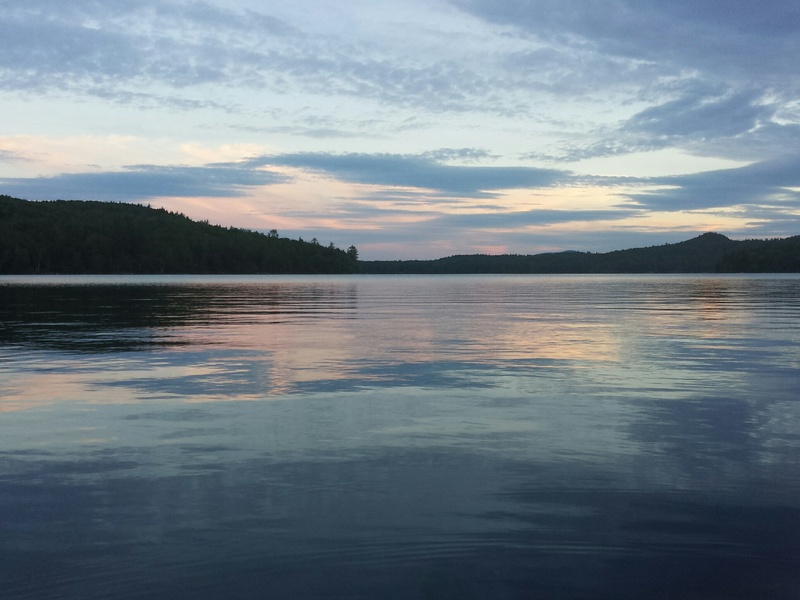 “I ran up to the hole, found the man in the tank and I got a rope around him,” Fire Chief Warren Borsari told WBZ-TV. The Plymouth County Tech rescue team eventually got the man out. His name was not made public. He had minor scrapes, according to the chief. He was decontaminated right there in the yard and taken to the hospital for treatment. Borsari said the man may have been drinking before he fell in the tank. Unfortunately I wasn’t there during the phase of construction that involved our septic system, so I wasn’t sure where the septic tank was actually located. We knew it was somewhere between the house and the leach field. To the untrained eye, our leach field looks like a large rectangular grassy field. But underneath the grass is a maze-like series of trenches and gravel, where liquid waste (called “effluent”) disburses after it travels through the septic tank. 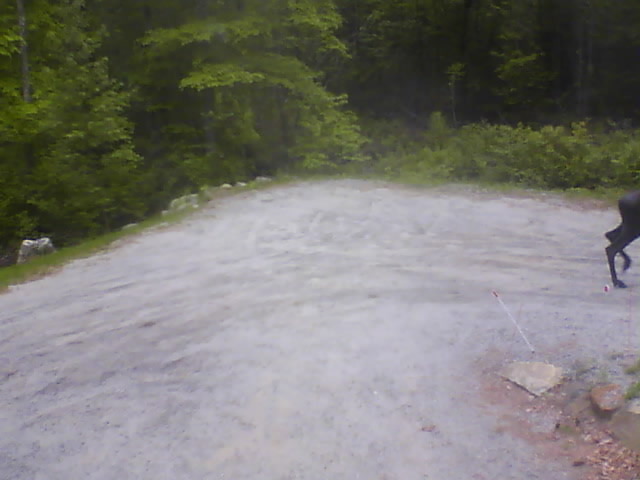 We noticed a large metal rod protruding from the ground and figured that might be a marker. My husband got out the shovel and started digging and digging. He dug all the way to China, through rocks and roots and sand and dirt, but there was no sign of a septic tank. 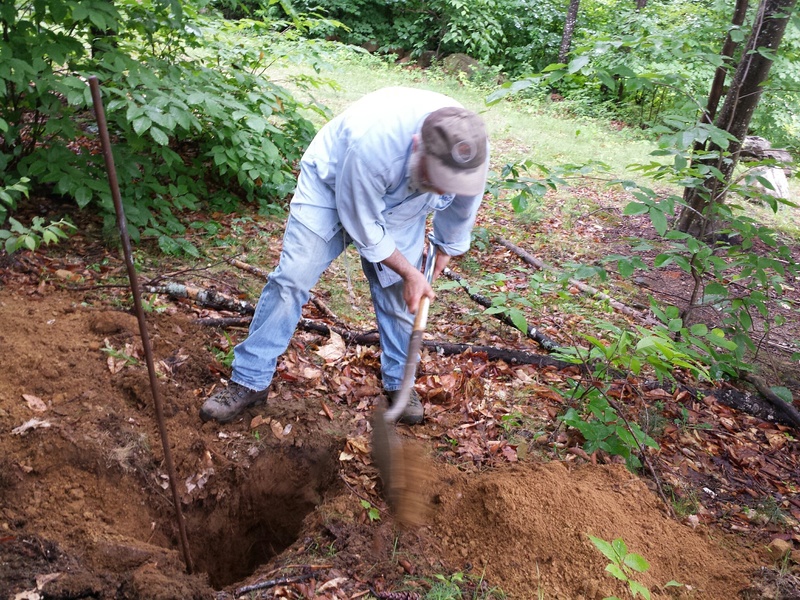 Husband digging fruitlessly in search of the septic tank. 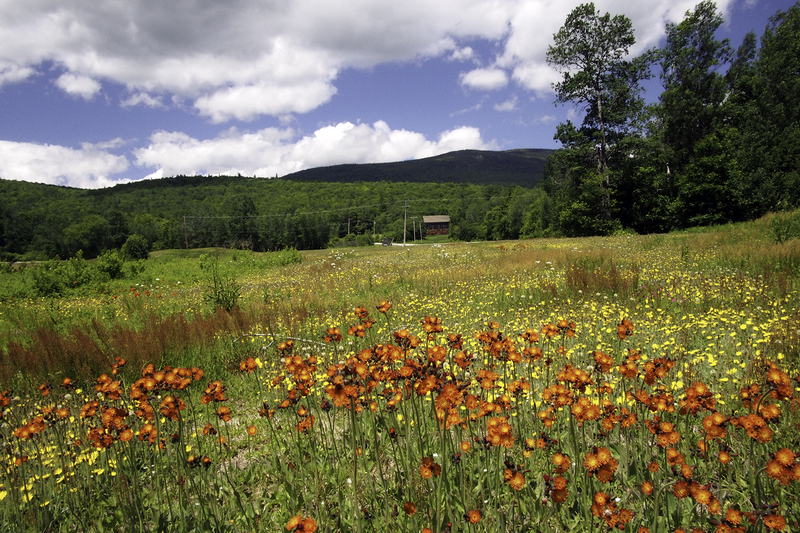 The grassy area in the background is the leach field. Husband digging. 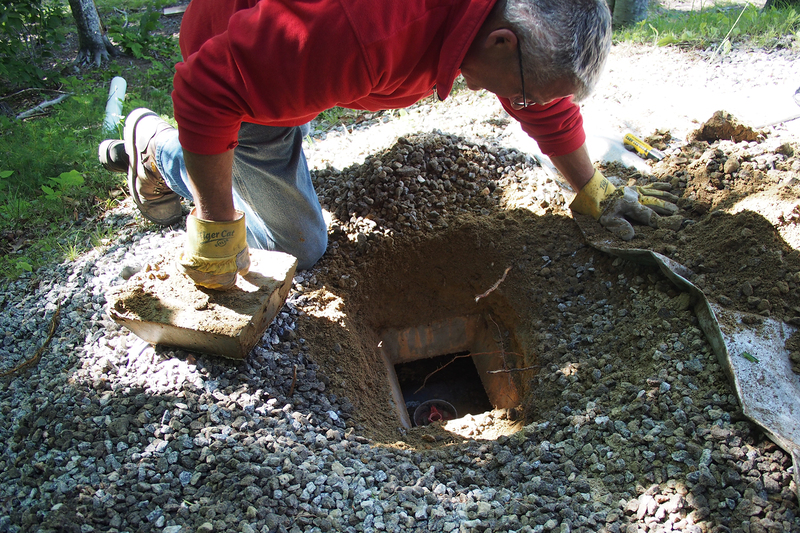 When we called in a professional, the tank was quickly found, and the lid was only 6″ below the surface. Live and learn. Going through old files, I located the report. We had hired a septic “architect” (someone with a civil engineering background) to design our waste system, and he had drawn it out. 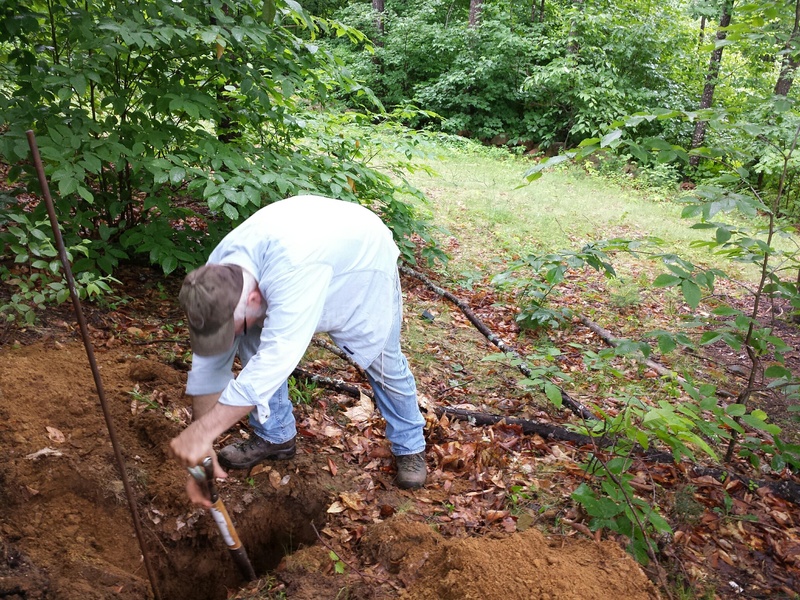 But that didn’t mean it was completely accurate, because it was up to Jeff to install the system, and certain natural obstacles such as underground rock or tree roots may have forced Jeff to slightly alter the location on the plans. The diagram looked like a pirate’s treasure map. But it did give a better idea of where the tank might be found. That night I had a dream. We were looking for the septic tank and digging around the corner of our house, when I came upon a Tupperware container with a red top. Inside the container was $350 cash! The next day my husband started digging again, this time in a completely different spot closer to the house. Much to my disappointment, there was no Tupperware container with $350. 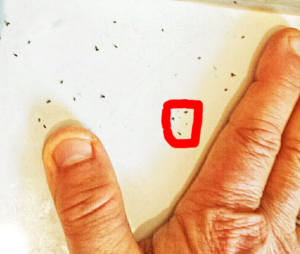 After only a few inches, though, he hit pay dirt, so to speak – – the cement surface of the septic tank. But where was the septic lid? I did a YouTube search on “how to locate septic lid.” (Is there any topic that YouTube doesn’t cover?) Sure enough, a short video tutorial told us how to find it. 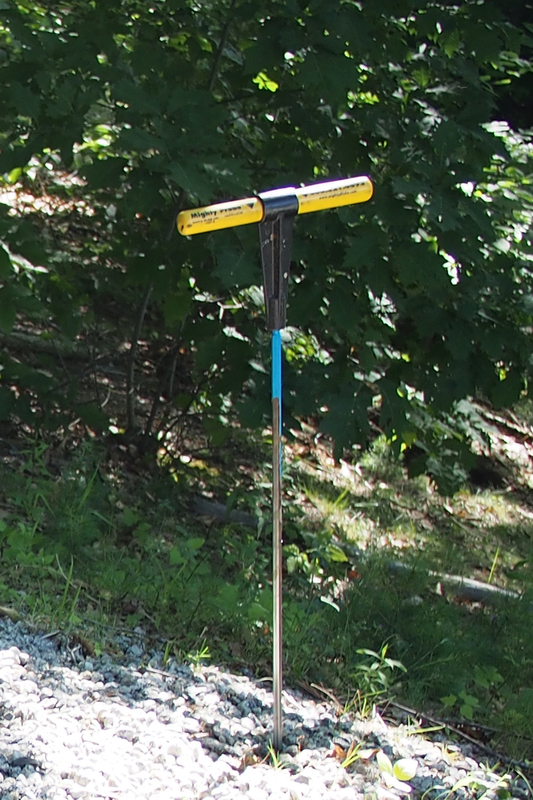 But we were missing some key tools, like a tile probe – – a long, thin metal rod with a t-shaped handle – – and a metal detector. 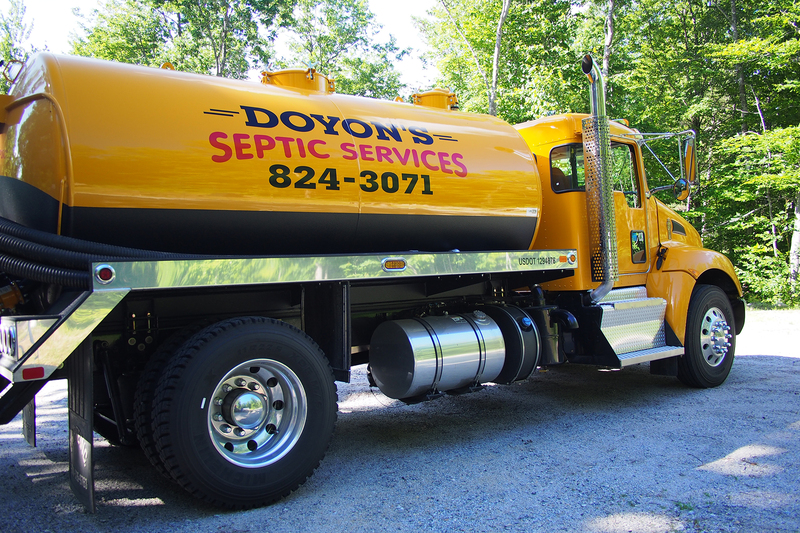 When I called Doyon’s Septic Service out of the yellow pages, I spoke to co-owner Betsy Doyon. 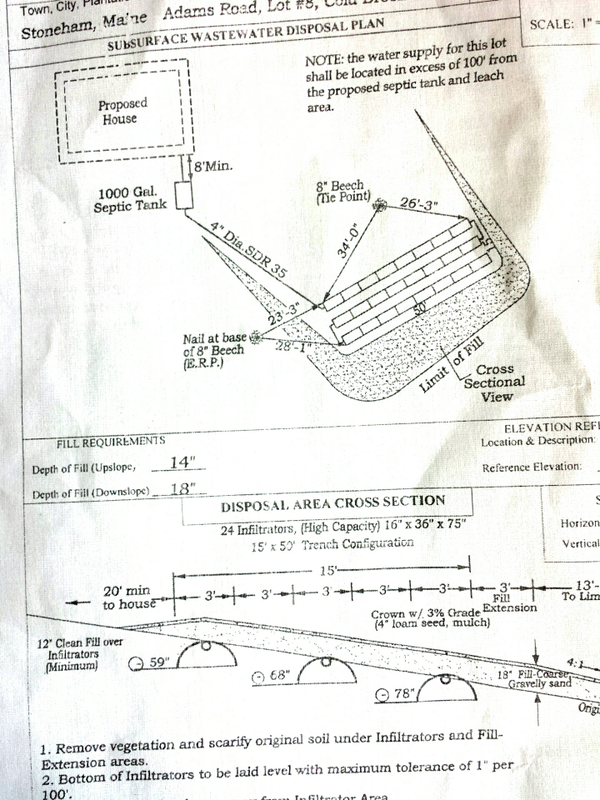 Dennis didn’t need to see our septic plan diagram; his years of expertise guided him as he made a beeline right to the area in my dream. 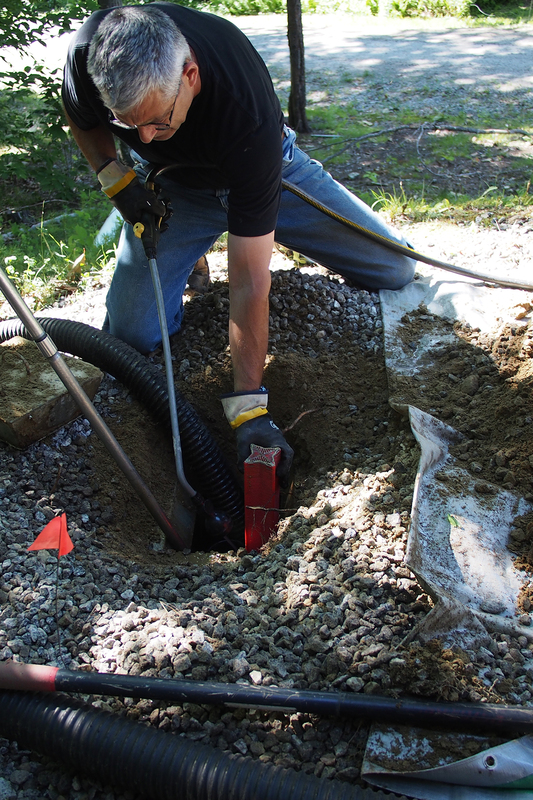 Using his tile probe – – that YouTube video had been right on the mark – – he found the parameters of the septic tank within seconds. But where was the septic lid? 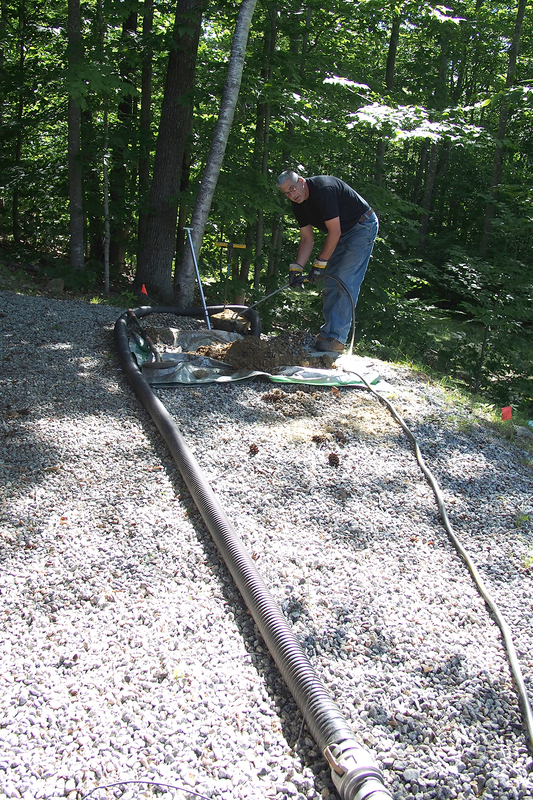 “Do you know who installed your septic system?” Dennis asked. “Yep: Jeff Ward,” I replied. Ever curious, I’m sure I drove Dennis crazy with all my questions and picture-taking. I mean, how many customers stay to chat with the septic man while sludge is being sucked into the truck? How many people find sludge fascinating? (Actually the biology of it all is quite amazing.) Whatever prejudices or preconceptions I had about men who drain septic tanks were flushed away by Dennis, who was clearly very intelligent and quite dapper in his preppy polo shirt and immaculate jeans. Dennis cleans off the red plastic filter with my garden hose. How did he get started in the septic business? “Was it hard to get used to the smell?” I asked. 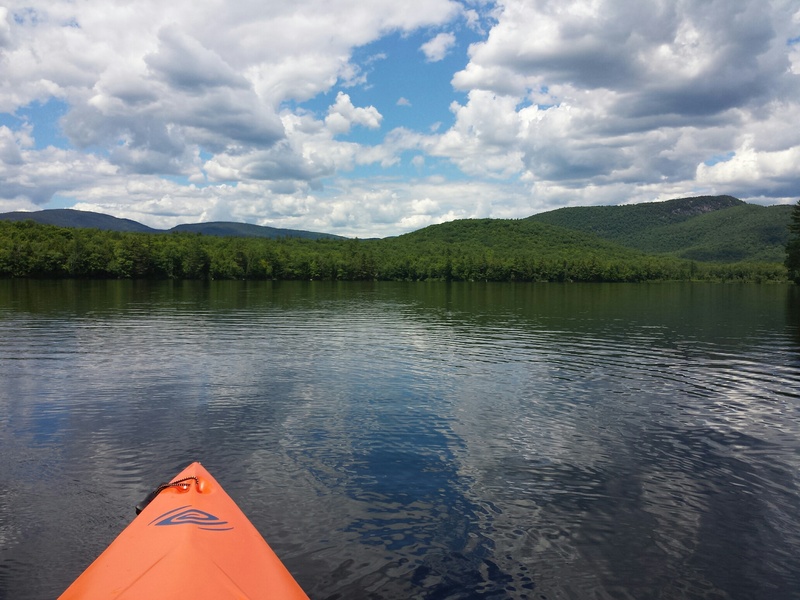 After my husband was bitten by a deer fly the other day and his hand swelled up like a giant sausage, I thought it was appropriate to re-blog my post about deer flies and midges. Every single culture throughout the world welcomes a grandchild with utmost joy. In my own community of Orthodox Jews, grandchildren are not only a blessing, but something of a status symbol, embraced not only for the joy they bring but as a fulfillment of G-d’s promise to Abraham. It’s where quantity and quality are on equal footing, because every grandparent knows that his grandchild could never be anything less than perfect, so deep is the grandparent’s unconditional love. Ergo, the more, the merrier. I never really expected to reap the blessing of grandchildren in such a formidable way. When my oldest son got married, his wife’s huge numbers of cousins, aunts and uncles, siblings, nieces and nephews required bleachers to fit them all into a family picture. This was not the case with our side. Much of my already-small family had married “out” and did not practice Judaism at all. On my husband’s side, all his relatives besides his brothers, parents and grandmother had perished at the hands of the Nazis. Between his side and mine, there were only a paltry dozen of us posing for the photographer, an almost laughable number when compared to the multitudes that were in my daughter-in-law’s family. My four children married young and happily, and every year over the next many years brought us the gift of another grandchild. And now, in my fifties, there are sixteen! We are currently in our home town to celebrate several life cycle events with children, grandchildren and friends. 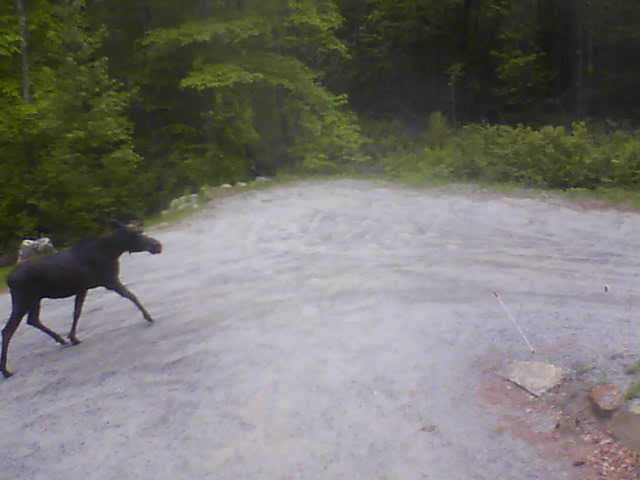 While we are away, our webcams caught this early morning visitor running up our driveway. 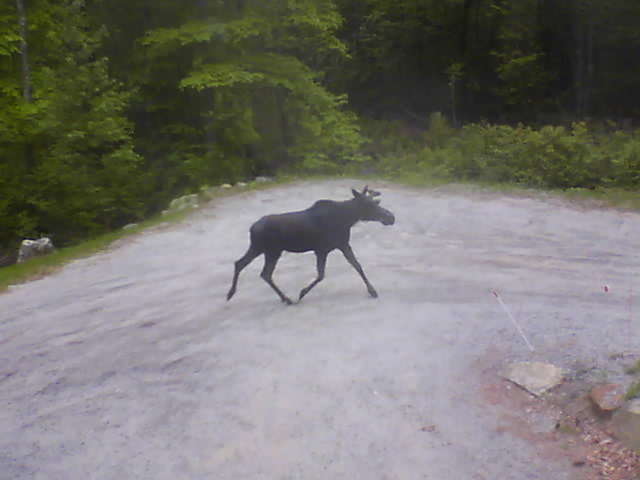 It looks like he was heading for the front door. 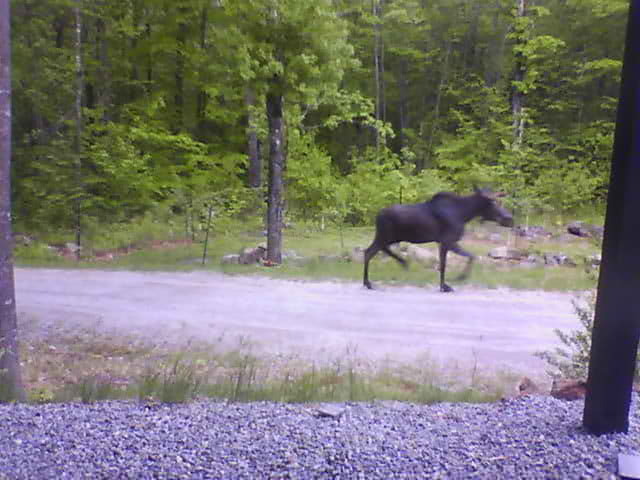 Ironically if we had been home we would have probably missed him altogether, since our webcams would have been turned off and at 6 a.m. we were unlikely to have been next to the window.